It might be a bit presumptuous to name this cake “perfect” but when you make it you'll know why. The ease of preparation, texture, richness, and moisture are perfect in every way. That's not to say that other cakes are less than perfect (it's not fair to compare), this one just happened to get the name. 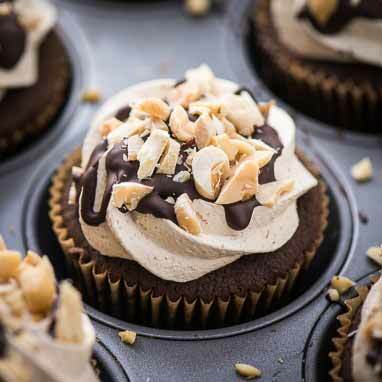 This version uses the Perfect Chocolate Cake recipe for cupcakes.